Buy Rosie @ KHUXTracker a Coffee. ko-fi.com/khuxtracker - Ko-fi ❤️ Where creators get paid by fans, with a 'Buy Me a Coffee' button. Rosie here! 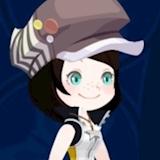 Maker and webmaster of KHUXTracker.com - a fun programming project I've been working on since January 2017. Any donations help pay for annual hosting and SSL renewals to keep the gears turning! Thank you for your support! Welcome and thank you for visiting my Ko-fi page! Follow me on Twitter @ https://twitter.com/KHUXTracker for news and updates for KHUXTracker.com! Secured Payments. Support goes to Rosie @ KHUXTracker's account. Upgrade Rosie @ KHUXTracker to a yearly Gold Membership with a one-time payment.